The community of housing bloggers has already offered plenty of comment on the implications of the Chancellor’s “emergency” budget for housing. Comment from almost all quarters – be it Jules, Ken, Joe, Steve, Tom or Gavin – highlights, in more or less lurid terms, the challenges the budget measures are going to present the housing sector. Some of the changes announced in the budget – the reduction in the benefit cap, cuts in tax credits, and the benefit freeze – were heavily trailed. However unwelcome they might be, they didn’t come as a huge surprise. Yet, the precise dimensions of the change – the reduction of the cap to £20,000 outside London and the inclusion of LHA in the benefit freeze – made for grimmer reading than many might have hoped. But other policy changes were rather more of a surprise. In the days running up to the budget there were whispers that housing associations should prepare themselves for a change in the rent setting formula that would mean reductions in rental income. Some of those whispers suggested CPI-4% might be a possibility – compared to the (then) current statement from Government that increases would be based on CPI over ten years from 2013. In comparison, when George Osborne announced reductions of 1% for each of the next four years it almost sounds like a relief. But it will nonetheless take a substantial amount of income out of the social housing system. Hugely problematic as opposed to utterly calamitous. The reduction in the generosity of the Buy-to-Let tax relief, on the other hand, came out of leftfield. This is one of the few housing-related changes that has been more warmly received by members of the commentariat. It removes one of the distortions that has fuelled the rapid growth of private renting over the last decade. However, it would appear that there is a good chance that it could wipe out the return from Buy-to-Let investment entirely. So the consequences could be far-reaching. The reappearance of pay to stay was also something of a surprise. The Government is clearly not willing to leave the implementation of this sort of thing to local discretion. Housing organisations cannot be left to make decisions on whether it makes sense in their context. Rather it looks like compulsion is going to be the order of the day. That the policy doesn’t make much sense, and the costs of administering it are likely to be significant, can no longer be a barrier to its pursuit. Similarly the budget hinted that fixed term tenancies for social housing are going to be compelled, given that so far housing organisations have not embraced them as warmly as the Government would have hoped. There has been plenty of comment on the individual measures in the budget. What intrigues me is whether it is possible to look across the various measures announced – including the other announcements made around the budget about home ownership, planning reform and support for small builders – and fathom what the Government is trying to achieve, or what their implicit model of the housing market seems to be. Of course, we could start from the premise that the Government has no coherent idea of what it’s doing or where it thinks it’s heading. The effect of each of the various initiatives is being considered in its own terms – if it is considered at all – and in terms of first round effects only. No one is standing back and trying to work out what the changes add up to when taken in concert. Or it may be that Ministers and civil servants know precisely what the effects of current policy will be but they choose to plough on anyway: the policy serves short term political purposes, even if it comes at huge cost to the organisations and individuals affected. I’ll leave those two possibilities to one side for now. It is fairly clear that the Government has gone all out in support for home ownership. Renting, particularly social renting, is being constructed as an inferior option and intrinsically undesirable. Back in the 1980s it used to be said that the Thatcher government had a tenure policy rather than a housing policy – promote home ownership at all costs and beyond all reason. We appear to be back in that sort of territory. Reducing the generosity of the tax treatment of Buy-to-Let is, at the very least, likely to slow the growth of private landlordism. That would reduce the competition that home buyers face when seeking properties. Of course, the calibration of the change is important. If the tax change completely wipes out the profit from Buy-to-Let landlordism then landlords have two choices. They could seek to increase rents to restore profitability, if demand in a local market is strong enough to make that a viable strategy. For it to be a viable option it is likely that the demand will need to be coming from households who are not reliant on the local housing allowance, given that the local housing allowance has just been frozen. In relation to LHA the Government is either working with the model that further restricting LHA, by reducing households’ effective demand, will restrain rent levels or it is assuming that households have the wherewithal to make up the difference if rents increase ahead of housing allowances. The evidence that curbing LHA acts as a brake on rent rises is, to the best of my knowledge, not compelling. It depends on the structure of local housing markets. The assumption that households have the financial resources to cope is just that – an assumption. Given that households in the private rented sector already experience some of the highest affordability ratios around it is an assumption best treated with caution. The ability of such households to absorb a further rent increase is likely to be highly constrained. Another option facing BTL landlords would be to dump property sooner rather than later, before reductions in returns start to filter through into reduced sales prices. That assumes that rental markets are not so efficient that these changes have already been priced in. And if enough landlords take the exit route then it could trigger significant price decrease in some localities. At the same time as these budget changes are being announced we are hearing reports of the top end of the housing market softening, particularly in central London. The changes to non-dom status announced in the budget may also start to play a role here. All this could, in theory, be good news for first time buyers. But it may not be so good for existing mortgage holders, banks or investors. In the social rented sector an enforced 1% reduction in rents in each of the next four years will have a range of consequences. It is intended to drive efficiency gains. But it will probably drive some housing associations out of business – their business plans have been rendered unsustainable, their room to change course limited. It will no doubt lead to some urgent discussions about mergers and acquisitions. It increases sectoral risk, weakens credit ratings and adversely affects asset valuations. You couldn’t rule out a fire sale or two. One thing that everyone seems agreed on is that it will reduce the number of new properties that housing associations will be able to build. This will adversely impact upon the availability of affordable housing and, presumably, increase demand in the private rented sector – thereby operating in the opposite direction to some of the changes discussed above. The reduction in new build will in part be a function of reductions in future income streams. But it is quite likely that it will also be a function of increased policy-induced uncertainty. If the Government is willing to renege on a promise regarding rent setting made only a couple of years ago then what else are they willing to do? Layer on top of all this the balance sheet and treasury management uncertainties generated by the extension of the Right to Buy and “proceed with extreme caution” is likely to seem the only sensible approach for many housing organisations. On the other hand, the Government’s reforms to planning are, we must assume, seen as enabling the private sector to fill the gap where the social housing sector used to be. The private sector will be able to build cheaper starter homes now that zoning for brownfield land will increase the presumption in favour of development; they are not required to worry so much about zero carbon targets; and they have had much of the burden of providing affordable homes under s106 or infrastructure under CIL removed from their assessments of viability. Of course, there is a risk that we will end up with new developments that are not environmentally, socially or economically sustainable. But maybe that doesn’t matter any more. So we’ve got policy that seems to be trying to take the heat out of Buy-to-Let, reduces the provision of social housing, pushes tenure conversions from renting to mortgaged owner occupation, and attempts to boost the provision of new private sector homes through reform of regulatory structures rather than more fundamental institutional reform. It would hard to argue that it does. It is most likely a recipe for continuing deterioration of housing conditions among the poorest households as affordability continues to worsen. Rates of overcrowding and living in substandard accommodation are likely to increase. 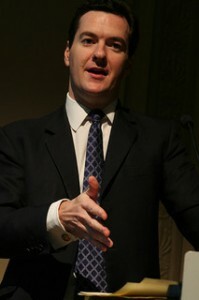 For it to represent any sort of solution to the chronic affordability problems in the housing market then the Chancellor would have to be betting that these measures will deliver such a shock to the system that we see a dramatic downward price correction, as a result of the evaporation of demand for property from (would be) private landlords or investors combined with sharply increased regulatory and policy uncertainty. That might bring prices closer to sensible levels in terms of affordability. The increasing scarcity of social housing would drive more and more households to seek marginal home ownership. This would signal to builders that there was increased demand for low-spec starter homes. If that is the plan, it doesn’t seem like a hugely wise one. If nothing else, the transitional damage to the broader macroeconomy from triggering a general house price collapse would be mind-bending. The more I think about it, the more plausible it feels that, whether or not that was the intended consequence, some version of that scenario may well play out in the aftermath of this week’s events. Not long after I published this post Giles at Nearly Legal posted a characteristically thorough and critical assessment of the housing implications of the budget. You can find it here. Another great post and I have little to add, beyond agreeing that the potential for an ugly drop in house prices that feeds through and damages the recovery is pretty frightening. One thing I’d add from my experience analysing health/NHS policy over the years. One thing that sometimes resolves the apparent inconsistency is to consider the idea that the rest of the country is an afterthought and that policy is designed around London problems. Even today, 90% of the debate about hospital capacity still runs along assumptions formed because of the oversupply in central London.